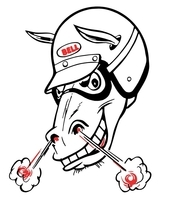 Please Note: We can only ship Bell Helmet products to addresses in the 50 US states, US Territories and any APO/FPO addresses (per manufacturer’s restrictions). 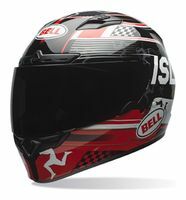 This sizing chart is based on information provided to us by Bell Helmets and is subject to change without notice, although we will do our very best to keep it up to date. We recommend that you measure your head by wrapping a cloth tape measure around your head about 1 inch or 2.5 cm above your eyebrows, which should be the largest portion of your head. Choose the helmet that is closest to your measured head size. If you fall between two sizes, choose the smaller of the two. You want a helmet to fit snug without being uncomfortable. The DLX versions of the Qualifier helmet come with a Transitions Adaptive Shield. Plus, they are set up to accommodate the Sena SMH10 Bluetooth Intercom for Bell Helmets (sold separately). Please note if you already have an SMH10 kit (not Bell-specific), it will be necessary to add an SMH10 Clamp and Boom Mic For Bell Qualifier DLX and Mag-9 Sena (see below). The DLX will also accomodate the Cardo Scala Rider Q1/Q3; we don’t currently offer Cardo Scala intercoms. Otherwise Aaron’s review shown below still applies.